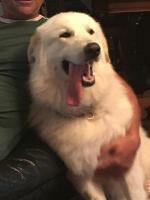 I have 2 Great Pyrs, female 13 months and male will be 2 years next month. I have been hearing conflicting stories about when the best time to spay and neuter them. I do not want to breed. I hear to wait until about 2 to 3 years for them to fully mature to prevent bone cancers and other risks. I also hear to spay and neuter around 7 months. I have not done so as of yet because of the threat of bone cancer, I know they have a short life span as it is and want to keep them as long as possible. 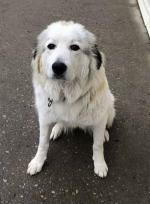 Can you let me know the facts of spaying and neutering Pyrs and at what age is best for them? I am a responsible owner, I separate them when needed. Thank you for any advice you can give. I don't believe you can set one age, The correct answer should be when they are physcally mature. Both male and female need to be intact until then finish growing. I would think your male is about ready but your female may need a little more time. You won't be sorry you waited my boy has a beautiful full head and recall nice proportion. Now eight year old he is healthy as can be. Also my female is 13 and still playing like a puppy. Think of it like this if you wait til grown you are safe but too early neutering can cause many problems. Why take a chance. If you are a responsible owner there is no down side to holding off a bit. You'll get all sorts of answers, I know. Your dogs are old enough, now. Now is the time to spay/neuter. Females should be done at 6 months (before their first heat). The male can be done at a year. Thank you so much for being responsible. At what age to spay/neuter, or even whether to do it is a really hot topic nowadays, even in veterinary circles. There is no question - the evidence is strong that spaying/neutering before puberty predisposes dogs to a host of health issues later in life. 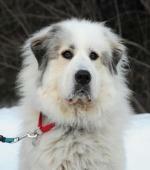 With the giant breeds, like the Pyr, it impacts the growing skeleton. My sister has a male Akbash, that she adopted at 5 years of age. We were able to trace his history back to the breeder who had him neutered at 8 weeks (not months) of age. He underwent ACL repair and has extensive osteoarthritis. In short, his joints and skeleton are a mess that the veterinary orthopedic surgeon attributes directly to his early neutering. In Europe there are less invasive alternatives, such as tubal ligation, hysterectomy, and vasectomy. But these procedures are almost unheard of in North America, and our veterinarians are not taught them during their training. We certainly do not need irresponsible breeding, and kudos to you for acting responsibly. Well, there are all sorts of answers to that question. If you are sure you can contain your dogs during heat cycle, that's great. If not, do it now. There are few well documented studies of when to do it. There are many texts used as evidence for one side or the other as propaganda. 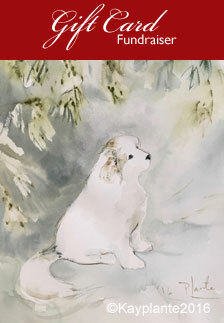 As well, no general rule can be established from one dog's experience. Much of this is also scare tactics and people have a tendency to become very voluble about one event which becomes multiplied. It’s the old the man who’s neighbour’s brother’s uncle saw a bear situation. You must use your good sense. Most females have a first season around 6 or 7 months and then every 6 months (+/-) after that. At 12 or 13 months, she would be finishing her second cycle. I would suggest a month after that would be safe enough. Males can be done about that time as well. Since males often stay puppyish all their lives, more so than females, that can certainly not be construed as caused by neutering. I usually tell my new puppy families to spay month before or a month after the 20 day season. this was not always respected. I ask that they be altered around one year of age. My breedline is not greatly affected because they have a tendency to mature faster. While it is true that some breedlines are affected by early (8 week up to 8 or 9 months)spay/neuter. these are breedlines where the maturation process is slower. There are others that are less so. Some breeders do it early because new families so often agree and are certainly very willing at the time being very happy to bring a puppy home. However, they also forget, neglect, get caught up in life and might even have the female escape and come home some hours or days later , with a bunch of puppies appearing 60 days later. 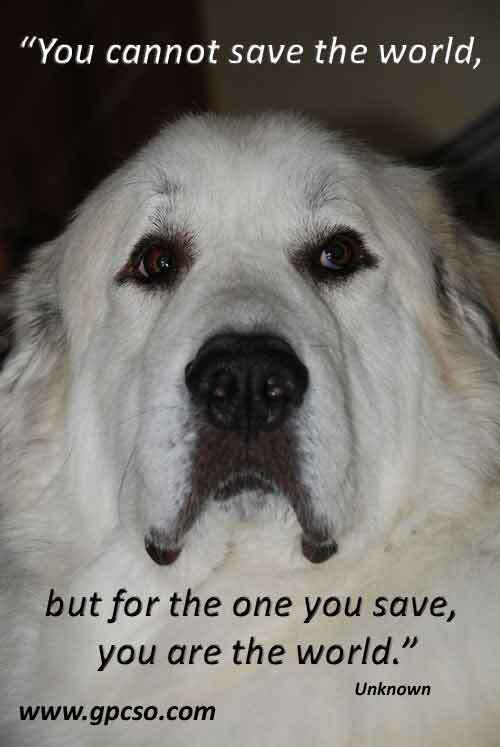 Don't forget that a determined Pyr can get out, over or under anywhere if they put their mind to it. the 6 foot fence will deter fugues if the dog doesn't find it worth the effort. I have had them go over an 8 foot fence just for fun. They would then go and sit at the gate to be let in so they could do it again! 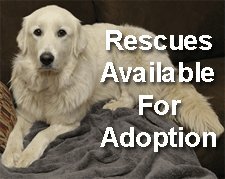 Post-op Neuter question for those who may know. 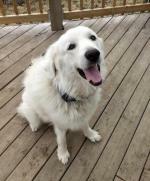 My 2 year old Pyrenees just got neutered a week ago. We have been checking his incision everyday and have not seen the cut opening which is good. However, today I saw his walking and noticed the sack has increased in size to 1.5 times it's original size. Is that normal? To the touch, one side is more firm then the other but not to a level that it feels like it will burst. I'm seeing a lot of posts on different sites saying its most likely fluid that will resolve itself and some options are cold compress and massaging the fluid to the top of the sack. On the other hand, there are some posts saying it is bleeding that needs to be corrected. I want to believe in the first option especially as we noticed it on Memorial Day when our vet is closed. I can upload pics if that would help. Please take your boy to the vet and have it checked. It could be infected. 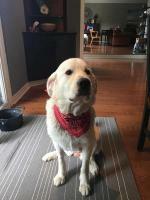 I'm so confused on when to spay/neuter my GP. I have a male and female (siblings). They are 7 months old. Wait as long as you can but 1-2 years old is fine. Make sure your female is not impregnated and especially not by her sibling. Make sure your male does not get loose and impregnate other females in the neighbourhood. Talk to your vet and do your research about options for spaying and neutering. There are less invasive procedures. 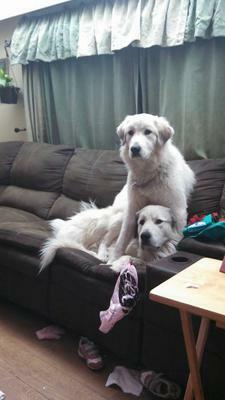 I have 7 month old Great PYR brothers and they are literally ripping each other to shreds. We got one of them at 7 weeks, then an owner surrendered his brother back to the parents at 5.5 months old so we took him. It's a nightmare! One minute they're playing, the next they're fighting. I don't want to fix them, but afraid there's no other choice if I want both. There is no guarantee that even neutered that they will get along. That said, still get them neutered so there are no unwanted pregnancies should they get loose. Intact males or females will wander far and wide to find a suitable mate.